Therapeutic massage is the manipulation of soft tissue with the goal of relieving muscle tension in order to restore balance and function to the body. Massage can help alleviate many chronic conditions, but is also beneficial in reducing physical stress and fatigue, promoting faster healing of acute injuries, and helping to maintain proper joint mechanics following a chiropractic adjustment. It also aids in improving circulation and lymphatic drainage which nourishes the joints, decreases inflammation, and increases flexibility. In other words, massage feels really good and is good for your over-all health. Therapeutic massage and chiropractic manipulation work in concert together to restore proper balance to the body and facilitate the body’s built-in repair system. In order to achieve true balance, it is important to examine both muscular imbalances in the body and dysfunction in the joint mechanics. Your chiropractor and your massage therapist will work together to ensure that every aspect of your condition is addressed and resolved. Do not hesitate to ask the doctor or our therapists if massage may be right for you. Our certified massage therapists have completed 500+ hours of massage training and are members of the American Massage Therapy Association. 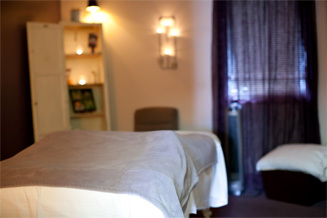 Your massage experience at our medical facility will be not only relaxing but therapeutic. Our therapists possess a firm knowledge of how the muscles, fascia, and joints function together as a whole. This understanding is essential when working in a medical facility and treating patients with acute and chronic conditions. Some of the different techniques our therapists employ include: Swedish, Trigger Point Therapy, Cupping, Myofascial Release, and Neuromuscular Therapy. Most patients are surprised to find out that their insurance company will cover massage therapy that is provided in a medical facility. Make sure you ask your insurance customer service representative if you have massage therapy coverage. If you do not have insurance coverage for massage, you will find that our prices are competitive and reasonable.